On 23 August at 6 p.m. on European Square in Kyiv near Ukrainian House three Embassies of the Baltic States commemorating 25 years anniversary of the Baltic way and celebrating Day of the Ukrainian flag organize solidarity action - symbolic live chain. Main purpose of this action is to demonstrate solidarity with Ukrainian nation, to demonstrate necessity of the unity basing on example of Baltic states, pay the tribute to the memory of the victims of the totalitarian regime and those who died for free and European future of Ukraine. The iron curtain fell 25 years ago. The global change was partly introduced by the Baltic way August 23, 1989, when 2 million people keeping hands were uniting in one chain of 600 kilometers between capitals Vilnius, Riga and Tallinn. This was the protest against division of Europe and occupation of the Baltic states against guilty act that happened 50 years ago 1939, when Stalin’s USSR and Hitler’s Germany signed secret protocol known as Molotov-Ribbentrop pact. Everyone in that chain, each nation and each and every individual was important to its success. 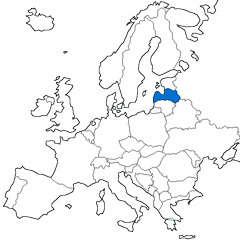 The Baltic Way of Freedom branched out and sprouted leaves of freedom throughout the entire USSR and even beyond it. It brought together the people of Baltic countries who after the Second World War had been forced into exile with the people who remained in their native land. It restored dignity to the citizens of Baltic States, who fell victim to the 1939 Nazi and Communist secret pact: it honoured the war dead; those murdered in Nazi and Communist concentration camps; those crushed physically and spiritually. It proved that even after half a century of lies truth can be revived and win out. For our Freedom and Yours! Each and every individual is important!